Expert Storage For Bullet-Proof Evidence. From 1TB to 3PB. You choose. We deliver. 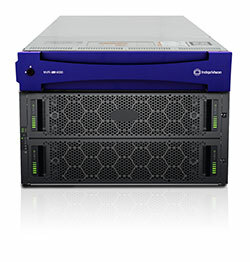 Think of our NVRs as digital bodyguards. Bodyguards who never leave you unprotected. IndigoVision’s Network Video Recorders (NVRs) never take a day off, never have a nap, never stop for a coffee break. They are always connected and focused on keeping you safe. 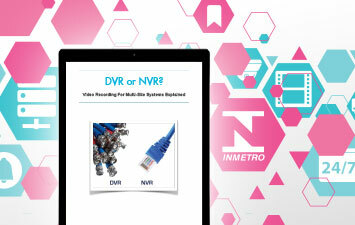 Unlike DVRs, NVRs don’t encode or decode. They leave that to the cameras and management software. They keep their eyes on the ball and that ball is to protect you with full-frame rate HD video recordings from every camera they’re connected to. Our digital bodyguards are armed to keep your evidence safe. Each video frame is digitally watermarked as it’s recorded and exported. Tampering can be detected at any point in the evidence chain. With automatic redundancy and failover, a second NVR can be set to takeover recording if a primary NVR ever fails. Automatically. No user intervention needed. Or you can double your protection by setting a second NVR to record the same video in parallel. IndigoVision’s NVRs support all major cameras. But working in harness with our own market leading security cameras and Control Center, the world’s most advanced video security management software, these bodyguards become brainier and brawnier. Map-based Monitoring lets you navigate across cameras, while Pursuit Mode instantly follows any moving object from one camera to the next. 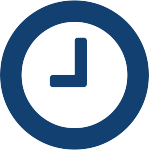 You can respond to any event with fast forensic search. Is your business expanding? Control Center expands with it. 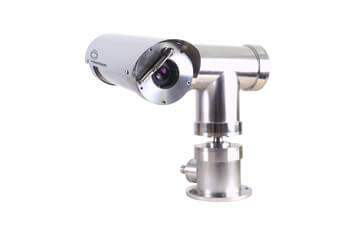 Unrestricted license allows unlimited installations, cameras or screens. Add cameras and consoles where you need them. To demonstrate the benefits of software that is intrinsically part of the hardware, pick up an iPhone. “It Just Works”. The same with IndigoVision, software that’s intrinsically part of the hardware. You get end-to-end benefits like a video security system that’s future-proofed for years to come. Our Distributed Network Architecture (DNA) means no management servers so no single point of failure. You also get easy system scalability. More security cameras? Slap them in wherever you need them. Need more video security recorders: add them. 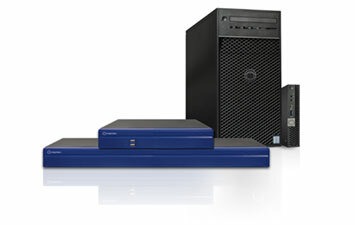 Available with Windows or Linux operating systems, our digital bodyguards come in the sizes you need them. 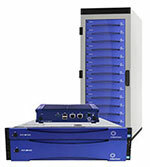 The Compact NVR-AS 4000 is perfect for sites with up to 20 cameras and ideal for distributed multi-site recording. With double the performance of the nearest alternative, the Enterprise NVR-AS 4000 can record up to 200 cameras, has a data throughput of 2Gbps and up to 112TB usable storage. 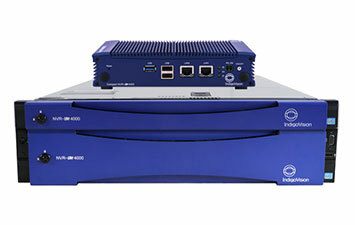 The Large Enterprise NVR-AS 4000 is for recording huge numbers of cameras in a single device for long video retention. 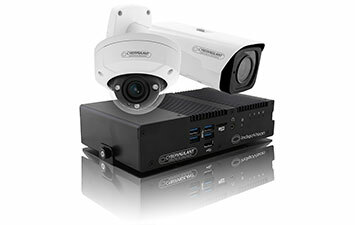 Record up to 800 security cameras per NVR and have up to 3PB of storage. Flexibility, strength, brains and dedication to never fail. It’s what you’d expect from a system designed to keep you safe. 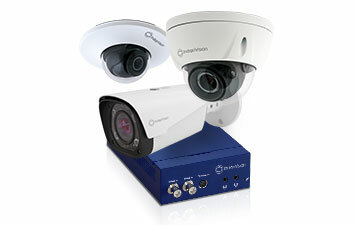 Why choose IndigoVision’s Network Video Recorders? With over 16 years’ experience our engineers know exactly what makes a world class NVR and have packaged all of the ingredients into IndigoVision’s outstanding SMART.guard technology. With an excellent support programme in place to back you up, you know your security is in safe hands. Plug and play and you are away! Our engineering specialists have dedicated their time to delivering a straightforward and simple installation ensuring you are up and running before you know it. 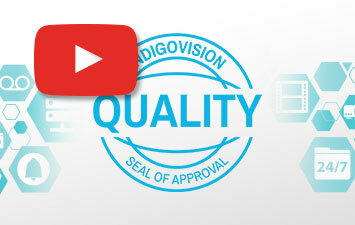 Customers achieving return on investment is a big deal for IndigoVision. Our sales specialists have been expertly trained to help guide you to find the storage device that is right for you, ensuring your requirements are met and you’re future proofed for years to come. With appliances available in both Windows and Linux OS, storage ranging from 1TB up to 3PB and over 18 variants across the range, IndigoVision has the perfect NVR to suit your security needs. Smaller physical sizes or extra high retention periods for distributed or centralized storage are not a problem either. You want to mix variants on a site or add extra storage to your system? Yes we can do, with our flexible design you mix and match as you like, we’ll support it. Outstanding secure evidence comes hand in hand with IndigoVision’s NVRs. We stop at nothing to ensure your evidence is handled with care from the moment it is captured. Footage is Watermarked (twice) and tamper-proofed, NVRs have an intrinsic Fault Monitoring setup and provide failover redundancy with ease. 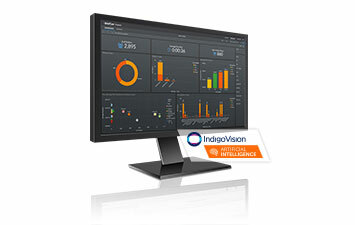 Whatever the challenge IndigoVision’s NVRs will excel to ensure your evidence is managed with integrity and care. 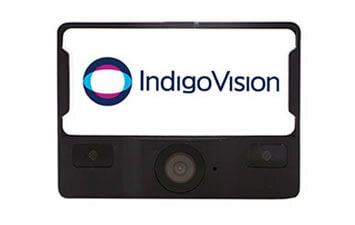 With expert knowledge and self-monitoring integrity IndigoVision’s NVR technology is world class. From taking the thinking out of deciding on a NVR, to ensuring if a drive fails it will be backed up, IndigoVision stops at nothing to ensure we are the technology experts that you can trust, helping you take the stress out of security. Trusted in over 15,000 installations. IndigoVision have over 1000 authorised resellers, delivering to over 100 countries and over 15,000 installations are using IndigoVision’s solution, including ABB, IKEA, Qatar Airways, Shell, Toyota, JetBlue, Rio Tinto, Red Bull, Amazon and Iberdrola. 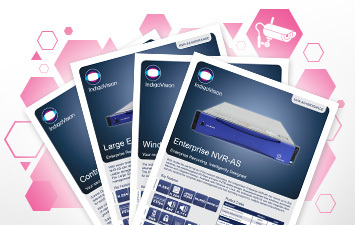 IndigoVision’s NVRs have got you covered. Keeping your footage safe and secure 24/7 is our number one priority. IndigoVision’s SMART.guard technology ensures your footage is protected in a five layered process to ensure your NVR is always dependable. 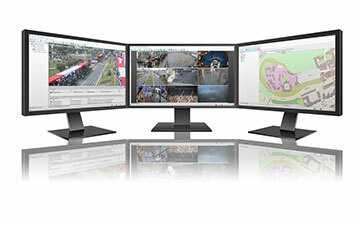 SMART.guard technology starts at the core by establishing how the information is stored, RAID is provided and watermarking at the point of recording and exporting leaves no room for evidence tampering. Intrinsic diagnostics act as an internal health check; if a fan or power supply behaves unusually the NVR automatically reports this to the administrator. Firewalls are embedded in all NVR appliances to protect against network security threats and failover intelligence allows a number of NVRs to work together; we’ve got you covered, 100%. Big. Small. Extra dense. Extra fast. IndigoVision’s storage offering comes in a wide range of physical form factors and digital storage capacities. With double the performance of the nearest alternative our NVRs outshine the competition, offering throughput speeds of 3Gbps and up to 3PB of storage meaning you really do get more bang for your buck. IndigoVision provides regular NVR firmware updates to keep your security system protected from upcoming threats in this fast-paced industry. 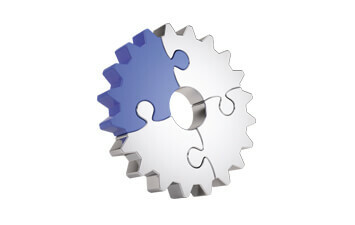 Further documentation is available for Authorized Partners on the Partner Portal, click here to login.